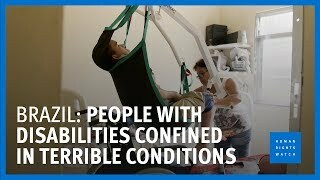 (Rio de Janeiro, May 23, 2018) – Thousands of children and adults with disabilities in Brazil are needlessly confined to institutions, where they may face neglect and abuse, Human Rights Watch said in a report released today. 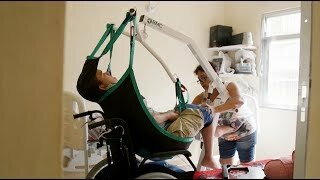 Brazil should make it a priority to provide support for people with disabilities to live independently and in their communities, rather than in institutions.The report, “‘They Stay Until They Die’: A Lifetime of Isolation and Neglect in Institutions for People with Disabilities in Brazil,” found that many people with disabilities enter institutions as children and remain there for their entire lives. Most of these institutions visited by Human Rights Watch researchers did not provide for more than people’s basic needs, such as food and hygiene, with scarce contact with the community and little opportunity for personal development. Some residents are tied to their beds and given sedatives to control them.